The voting for the Daman and Diu constituency will be held on April 23 in phase 3 of polling. The Bharatiya Janata Party released the first list of 184 candidates on Thursday evening. 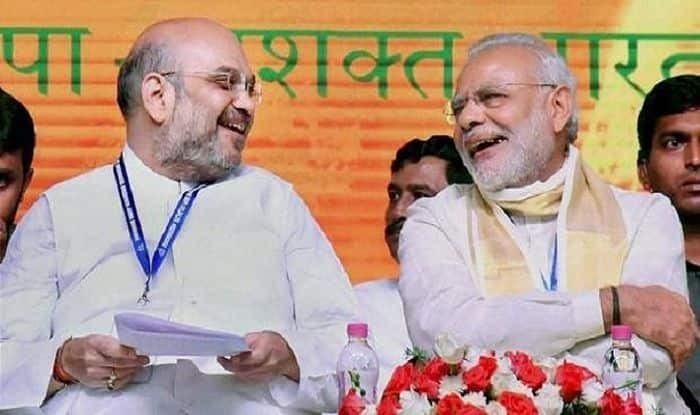 New Delhi: The Bharatiya Janata Party (BJP) announced the second list of candidates for the Lok Sabha Elections 2019. Lalubhai Patel will contest from Daman and Diu Parliamentary constituency. The voting for the constituency will be held on April 23 in phase 3 of polling. The saffron party released the first list of 184 candidates on Thursday evening. Union Minister of Health and Family Welfare JP Nadda announced the list of candidates contesting from Bihar, West Bengal, Karnataka, Rajasthan, Mizoram, Arunachal Pradesh, Andhra Pradesh, Odisha, Jammu and Kashmir, Uttar Pradesh and Jharkhand among others. The list includes names of Prime Minister Narendra Modi, BJP president Amit Shah, Union Minister Rajnath Singh and Nitin Gadkari, among others. They will contest the LS polls from Varanasi, Gandhinagar, Lucknow and Nagpur respectively. Nadda further said that VK Singh will contest from Ghaziabad, Hema Malini from Mathura, Sakshi Maharaj from Unnao and Smriti Irani from Amethi. Jugal Kishore will contest from Jammu, Dr Jitendra Singh from Udhampur, Sofi Yousuf from Anantnag and Khalid Jehangir will contest from Srinagar, added Nadda. Subhash Bhamre will contest from Dhule, Hansraj Ahir from Chandrapur, Poonam Mahajan from Mumbai North Central. Actress Locket Chatterjee has been fielded from Hooghly in West Bengal. Babul Supriyo will contest from Asansol, Rahul Sinha from Kolkata North and CK Bose from Kolkata South, Nadda further said. Down South, Kummanam Rajasekharan will contest Lok Sabha elections from Thiruvananthapuram where Congress’ Shashi Tharoor is the sitting MP. Candidates for Karnataka are: Anantkumar Hegde from North Kannada, Sadanand Gowda from Bangalore North, B Y Raghavendra from Shimoga and Prathap Sinha from Mysore. BJP’s first list covered a total of 20 states. All 17 seats in Bihar have been cleared by CEC and the list of names have been sent to the state election panel. That list will soon be released by NDA.